The most economic solution is using the π series induction boiler in the night tariff, along with the buffer tank supplied without the coil. 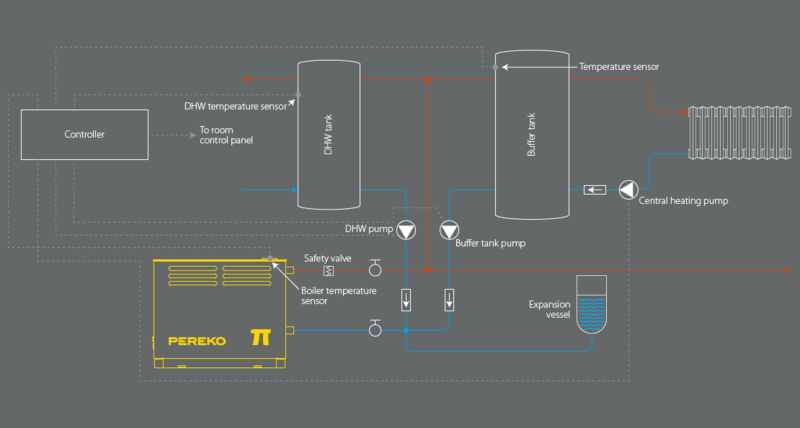 The buffer is a water tank that quickly accumulates thermal energy during the boiler operation and returns it for a long time after boiler power supply disconnection. 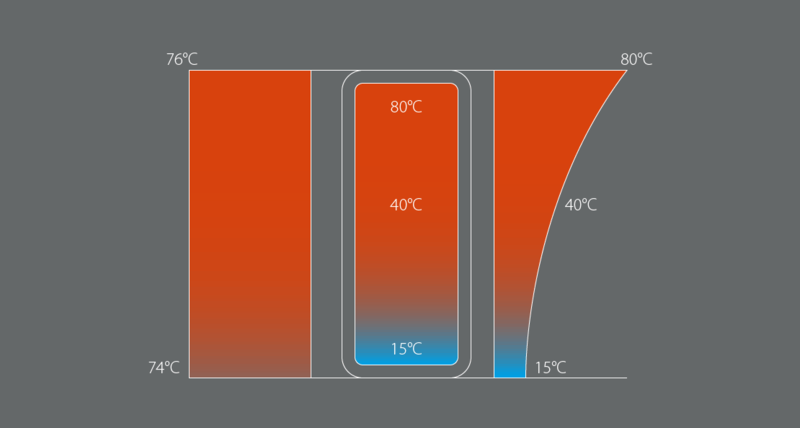 That solution allows to accumulate maximum amount of thermal energy in the buffer tank. During the boiler operation, circulation pump continuously mixes water in the buffer tank, moving it from the bottom and supplying the top part of the tank. As it can be seen, coils should be avoided whenever possible. It is an unnecessary cost, installation problem and another heat exchanger that is less effective by nature than direct water flow. Coils are only required where two systems must be separated, e.g. for DHW heating.